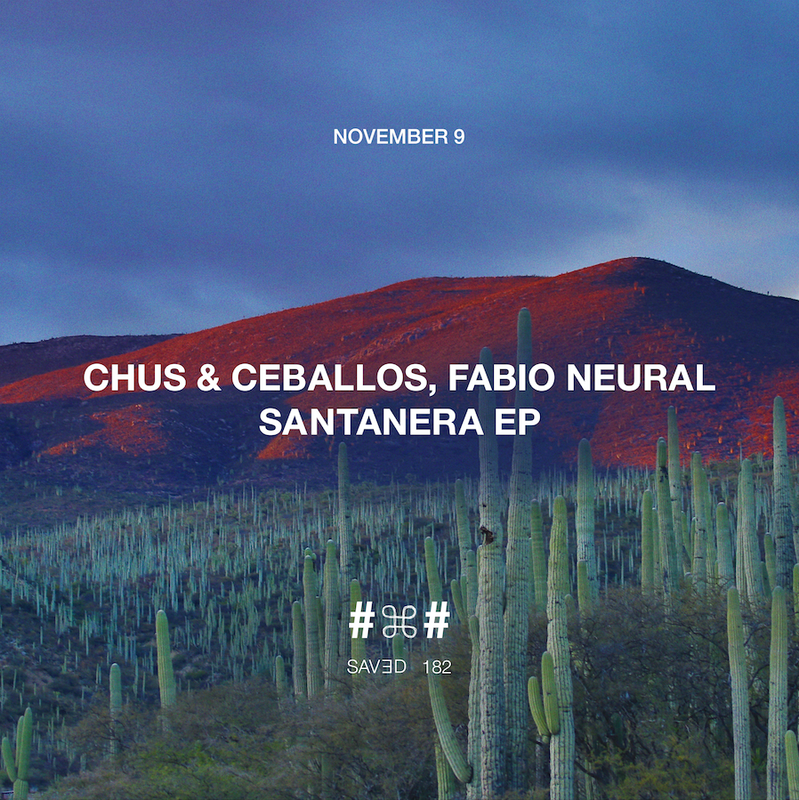 Following a run of appearances on the likes of elRow, Nervous, Intec and Street King (to name but a few) Spanish house dons Chus & Ceballos continue their incredible vein of forms this year with their debut on Nic Fanciulli‘s evergreen Saved imprint. They’re rolling in good company, too, with fellow long standing groove crafter Fabio Neural. ‘Santanera‘ blows the carnival whistle as they fuse their collaborative powers to forge a powerful rolling percussive bedrock and a broad bassline that lollops and licks. Laced to the nines with textured Spanish vocals, blurring bells and peppy horns, it’s an instant heater, whatever time of year or size of venue you drop this. Looking for something a little more hypnotic in the mix? Look no further than ‘Peonia‘. Textured, alluring and locked into such an entrancing, layered groove, you’ll have your entire floor in the palm of your hand by the time that first sincere but subtle organ layer creeps in. Dangerous groove mind control… Exactly what we expect from all three men involved in this release.